The fish, rumored to be named Mr. Macaroni, stands upon the dresser as a trophy of who the alpha roommate is in 314 South Hall. “Mr. Macaroni has really changed our friendship. We don’t eat at the commons together as much anymore, and she had the AUDACITY to ask ME to feed her fish while she goes home for the weekend.” The changing dynamic between Robinson and her roommate has obviously put a strain on the relationship. Sources indicate it’s unclear if they’ll ever be as close as they were on move-in day two weeks ago. 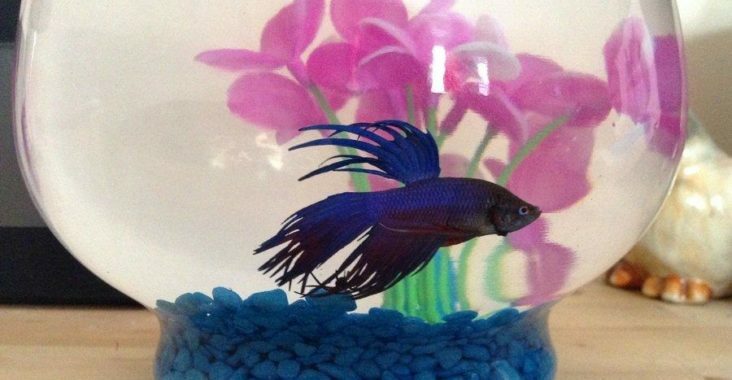 After hours of Stoutonia research indicates that housing even allows pet fish in the dorms. The RA never mentioned it, anyway.